pretty sure it was lightning"! They have some that look like little house cats. out of a yearling heifer. had enough nerve to see if he would share. and the only jobs they have, is to eat. I think Kiowa has the same thought in his head. "I'm just big enough to be snack size"! the same name as her! are glad they went to a good cause. gives them medical treatment and a good home. pounds of meat a day to feed them. Check out the web site at Exotic Feline Rescue Center. 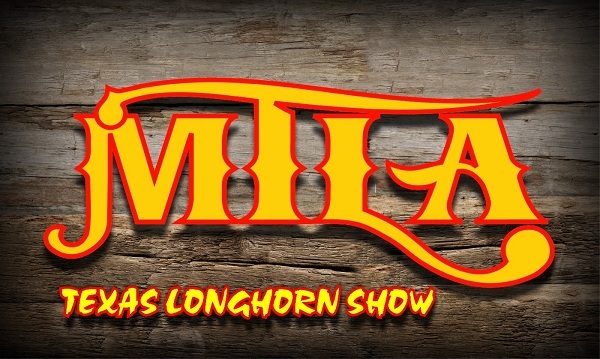 The Mid-West Texas Longhorn Association held it's show on Aug. 14 2010 in Princeton Indiana. Our friends from Kent Feed were also corporate sponsors. Gun Smoke just waiting around to be the half time show. breakfast and started bathing cattle. a long time and a lot of elbow grease. All of the cattle laid down after being cleaned. us it wasn't in public. Austin and Kiowa, "Ready to Show". Cheyenne leads Patriotizm around the ring. Austin and 3 Days Rizen hit the ring, ready to win. Lakota and Awesome Possum show their stuff. Kiowa and Inspector Gadget, show'n how they roll. Lakota with her baby..Executive Privilege. Trent showing the beautiful Delta Lucky Lady. Jimmy and Executive both looking good to go! Nathan Jones does some last minute work with Boilermaker. Cheyenne and Boilermaker after winning All Age Bull. What a great group of youth exhibitors. Cally Cox getting the once over from Stan Jernigan. 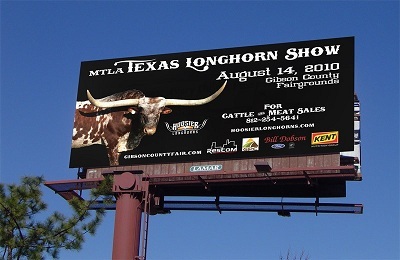 from Texas for the MTLA show. to judge the show, we can't thank them enough! Kirk and Linda Dickinson came from Ohio. Linda was gracious enough to sing the National Anthem. joined in the food and fun! (Ever have one of those guys that just shows up in the background of your photo's)? My lovely bride was given the job of carrying all the trophys for the kids. They couldn't carry them, cuz if they wasn't showing, they were eating! day as the beginning. She really enjoys watching all the grand kids show. Yours truly...was to pooped to pop!! the members of the MTLA for a great show!